Long Clawson Dairy was founded in 1911 when 12 farmers from the Vale of Belvoir, Leicestershire, formed a co-operative to produce Stilton® Cheese in the village of Long Clawson. Today the dairy works with by over 40 farms, all from within the Leicestershire, Nottinghamshire and Derbyshire area. Phew, what a list! I was lucky enough to be sent a selection of their cheeses, which are now taking up a good proportion of my fridge. 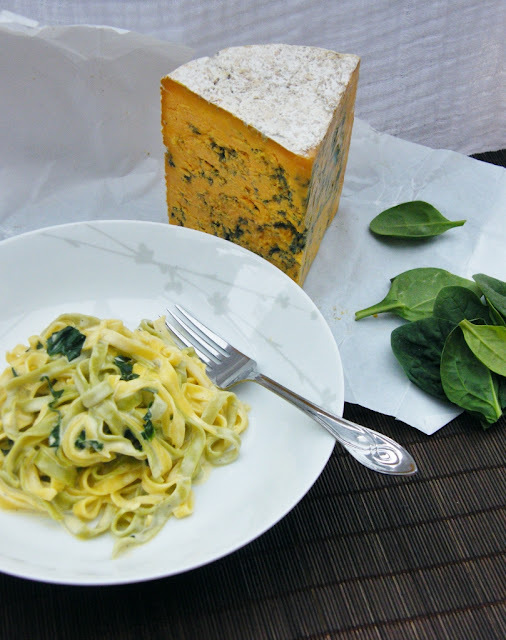 As soon as I saw the Blue Shropshire I knew I had to make a creamy sauce for pasta. 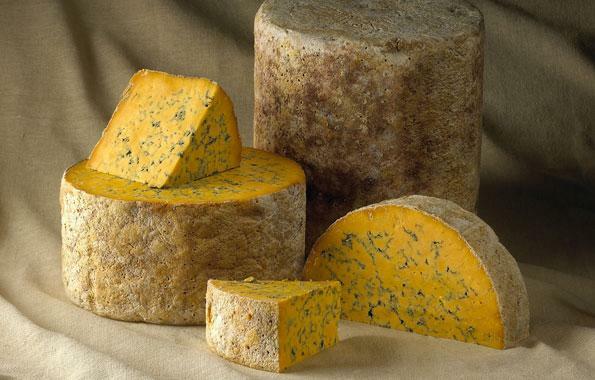 I do love Blue Shropshire, it has such a creamy texture and a full bodied flavour. I decided to pair it with spinach and crème fraîche for a luxurious sauce. It was heavenly. As good as it was, I wasn't able to convert blue cheese hating Graham, but the good news is Cooper enjoyed it, so I at least I have someone to share my blue cheese with. A creamy sauce made with rich, tangy Shropshire Blue Cheese, creme friache and spinach. Served on Fettuccine. A quick after work dinner. 1. Cook the fettuccine according to the packet instructions. 2. While the pasta is cooking melt the cheese in the cream and creme fraiche. Once it is smooth, add in the wine and spinach and cook until the spinach has wilted3. Season with nutmeg and black pepper. 4. Mix the sauce through the drained pasta and serve. It's as easy and quick as that. 5. Enjoy! 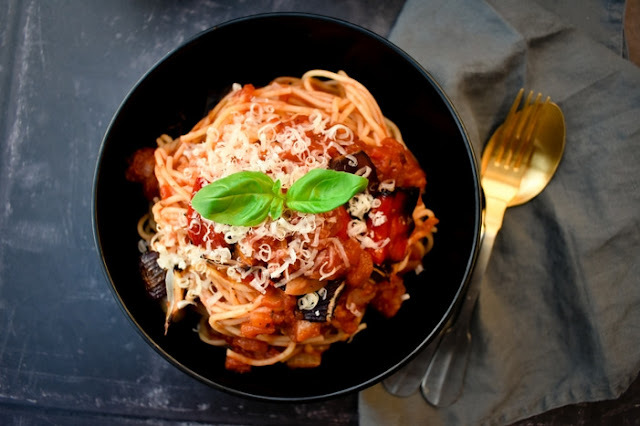 If you like my fettuccine recipe, you may also like my tomato and roasted red pepper pasta sauce for spaghetti. Disclaimer: Long Clawson Dairy sent me a selections of cheeses to try. I was not required to write a positive review. Any opinions expressed are my own. Looks delicious - will give this one a try! It is really good Staurt. Unctuous! Hey Ros, it is one of those things that quite a lot of people don' t like. Looks gorgeous. Funnily I don't like Blue Cheese uncooked but I can eat it in hot dishes. I've never had blue cheese in a hot dish, but I bet it is fabulous! Most things are when you add pasta, right? That list of cheeses made my mouth water! And how divine is that pasta dish?!! I can practically taste it just looking at your photo. What a gorgeous piece of cheese! Amazing huh? I had to share it around my friends, there was no way I was going to get through it even though I love it. Oooh, that looks right up my street! 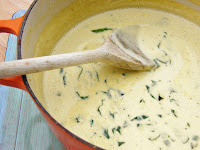 I love pasta and creamy, cheesy sauces are just so decadently delicious. Love the spinach in there too. 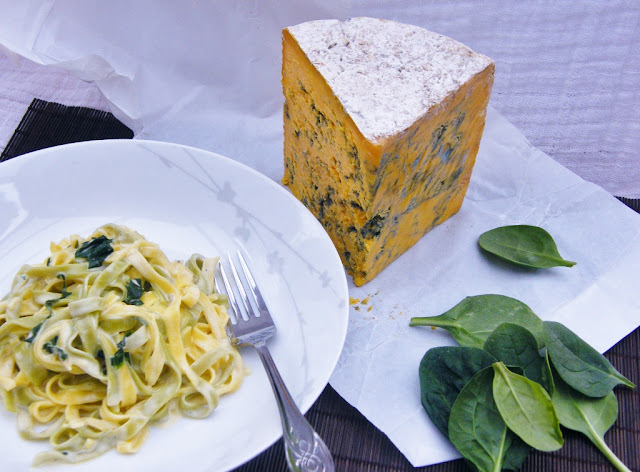 Thanks for the fettuccine with creamy blue shropshire & spinach recipe. If you don't mind, can you submit your fettuccine with creamy blue shropshire & spinach photo in http://www.foodporn.net ? Thanks Karen, I love it too. Haven't tried the Dorset Blue Vinney, will have to look out for that!